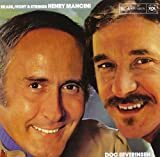 Enrico Nicola "Henry" Mancini (; April 16, 1924 – June 14, 1994) was an American composer, conductor and arranger, who is best remembered for his film and television scores. Often cited as one of the greatest composers in the history of film, he won four Academy Awards, a Golden Globe, and twenty Grammy Awards, plus a posthumous Grammy Lifetime Achievement Award in 1995. His best known works include the theme to The Pink Panther film series ("The Pink Panther Theme"), "Moon River" from Breakfast at Tiffany's, and the theme to the Peter Gunn television series. The Peter Gunn theme won the first Grammy Award for Album of the Year. 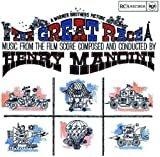 Mancini also had a long collaboration on film scores with the film director Blake Edwards. 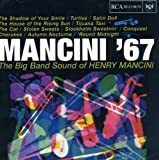 Mancini is also noted for scoring a #1 hit single during the rock era on the Billboard charts. The Love Theme from Romeo and Juliet spent two weeks at the top, beginning on June 29, 1969.